Oh, Halloween! My favorite holiday! It seems I will never grow out of loving to dress up. Today's #Blogtober14 prompt is your best and worst Halloween memory as a #TBT post. Here are a few Halloween pictures from years past to show my enthusiasm for this holiday. 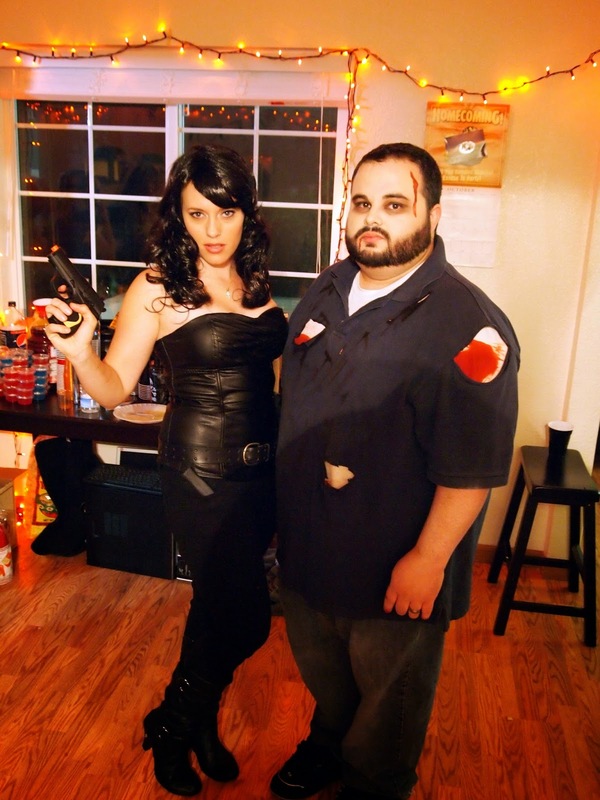 2013 we were brand new homeowners, and I was visiting Billy in Texas on Halloween, so we watched TV and handed out candy to trick-o-treaters instead of dressing up. We both had a ton of fun dancing, hanging with friends, and enjoying the evening. I made a bunch of really potent Jell-o shots for the first time ever, which started my reputation for making strong boozy yummies. That was absolutely the best Halloween memory I have. Everyone was dressed up with the theme and having a great time, you can't beat that! And then some thugs decided to crash. They showed up en mass and demanded to be let in. We turned them away, but someone at the party insisted they come back. It was civil, but strained, for about 10 minutes before a huge fight started. There was a ton of destruction to property, people were hurt, and it was the scariest experience I have had. I remember being in the garage, listening as beer bottles were thrown against the door, and car windows were smashed outside. There was a screened in patio between the garage and the house, and it was destroyed. I grabbed a bunch of girls, and one bleeding kid who was punched in the face, and locked us in a bedroom and tried to stay calm. It's hard to estimate how long the fighting was going on and what was happening outside, but when things finally calmed down, the cops showed up and everyone was really rattled. Thankfully no one was too badly hurt, and we could laugh about it as we relived the whole situation through stories and filling in the gaps from every one's perspective. It was definitely the worst Halloween memory I have. What about you? Do you like Halloween? Do you dress up or go to parties? 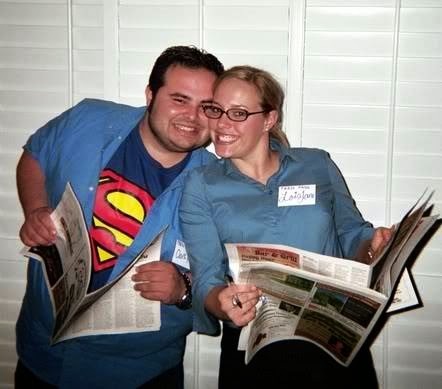 And I love the Clark Kent and Lois Lane costumes! SO easy! Bart and I hate dressing up...but that we could do! those are some great costumes.